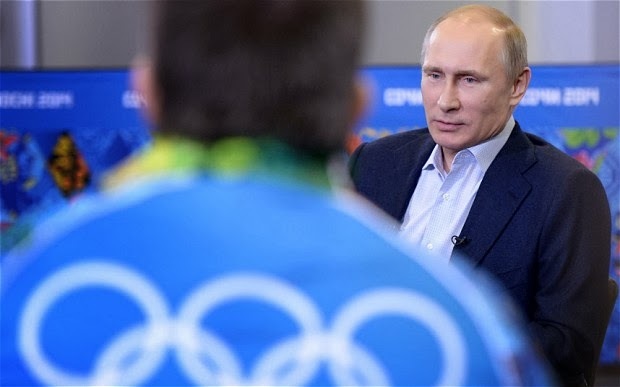 Just posted: today's 28-minute BBC radio probe of the controversies around the the Sochi Olympics--with my daughter, Jeni Mitchell, as asst. producer. Robin Lustig heads to Russia to examine the allegations. He speaks to local residents and city officials in Sochi whose lives have been affected. Boris Nemtsov, a prominent opposition leader and native of Sochi claims 'billions' have gone missing, and describes absurdities such as the road so expensive he says it 'could have been paved with gold'. Valery Morozov, a local businessman who says he paid millions in bribes to a government official, discusses how he believes the Russian bureaucracy has systematised corruption.